What Are Indonesia’s Minimum Wages By Province in 2019? Based on a circular that was issued by Indonesia’s Manpower Ministry on 15 October 2018, the Indonesian government plans to raise provincial minimum wages by 8.03 percent in 2019. Indonesia`s budget deficit stood at Rp200.2 trillion or 1.35 percent of the national gross domestic product (GDP) by the end of September 2018, Finance Minister Sri Mulyani Indrawati said. Imagine that you live near one of the 127 active volcanoes in Indonesia, threatened by the next eruption that could endanger your family. Indonesia has moved up in the global competitiveness ranking, thanks to improvements in its institutions, infrastructure, technology adoption, economic stability and business climate, the World Economic Forum said in its Global Competitiveness Report, published on Wednesday. PT Bank Mandiri Tbk pocketed a net profit of Rp18.1 trillion in the third quarter of 2018, or an increase of 20 percent annually (year on year/yoy) compared to the same period last year. Indonesia and Singapore have the potential to become the twin engine of Asia`s economic power to boost the region`s economic growth, a cabinet minister has said. The Ministry of Agriculture facilitates the licensing system in the agricultural sector through services based on the Electronic Agricultural Licensing Service Management Information System. The Meteorology, Climatology, and Geophysics Agency (BMKG) has installed 20 new portable seismographs in Sulawesi to monitor seismic activities in the island. Jakarta Governor Anies Baswedan said his housing program called the citizen’s housing solution (SAMAWA), which was initially known as the zero percent down payment program, is meant for Jakarta`s middle-class that earns an income up to Rp4-Rp7 million per month. A new decree from Indonesian authorities drops five bird species from a newly expanded list of protected wildlife, and potentially sets the stage for more to follow by widening the scope under which protected status can be rescinded. Palu – National Disaster Management Agency (BNPB), said that Palu earthquake refugees needed 18,000 tents for around 70,000 people. As for the school tents, 800 tents are needed in three regions. Indonesian President Joko Widodo was riding a wave of popularity a few months ago, with most pundits and pollsters predicting he would easily win a second five-year term in next April’s presidential election. Indonesia’s state-owned miner Inalum is looking to finalize a $3.85 deal for majority control of the local unit of global mining giant Freeport McMoRan Inc in December, a company official said on Wednesday. JAKARTA: Indonesia’s Trade Minister Enggartiasto Lukita on Tuesday (Oct 16) denied a report that Jakarta was considering putting on hold a trade pact with Australia over a proposal by Canberra to recognise Jerusalem as Israel’s capital. President Joko Widodo (Jokowi) handed over tens of thousands of land rights certificates to the community in Marunda, Cilincing, Jakarta. Under the leadership of Andi Amran Sulaiman, Indonesia’s Ministry of Agriculture aims to increase the export volume of various food commodities. Its goal is to spur on the national economic growth and strengthen the rupiah exchange rate, a goal they think can be certainly realized. Finance Minister Sri Mulyani Indrawati projected Indonesia’s budget deficit to reach 1.83-2.04 percent of the gross domestic product (GDP) at the end of 2018, lower than the 2.19 percent target set in the state budget. 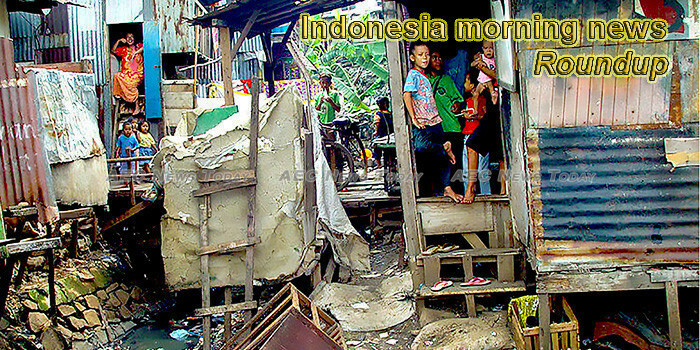 Indonesia has come a long way since the dark days of the Asian Financial Crisis. Australia pledged $5.5 million in relief aid to Indonesia earlier this month in the wake of an earthquake and tsunami that killed more than 2,000 people and displaced millions more, but the pledge has sparked an online backlash over how Australian aid money to Indonesia is being spent. A total of 47 crude and natural gas projects are slated to commence operations in six countries across Southeast Asia over the period 2018 to 2025. Jakarta – Foreign Affairs Minister Retno Marsudi together with Minister of Maritime Affairs and Fisheries Susi Pudjiastuti are set to team-up upon holding a world level conference entitled `Our Ocean Conference` that will be held in Bali on October 29-30. Jakarta – Minister of Religious Affairs Lukman Hakim Saifuddin asserted that he rejected the behavior of Lesbians, Gay, Bisexual, and Transgender or LGBT. In a video shared on social media, Lukman denied an old video circulating that showed as if he was supporting LGBT. A recent phenomenon that captured public`s attention happened in Ancol beach where a myriad of jellyfishes swarmed the coastline at one of Jakarta`s popular beach destinations. The Indonesian currency rupiah has reached a new equilibrium in value at 15,000 per U.S. dollar reflecting the condition of the country`s economic fundamentals, an economic observer said. Forty-two years after Indonesia launched Palapa A1 to become the world’s first developing country to use satellite communications, it is now on the verge of completing the Palapa Ring, a 67,887-kilometer broadband fiber optic cable network stretching the length and breadth of the sprawling archipelago. Jakarta (ANTARA News) – The Ministry of Transportation will test local radars by the Sepuluh Nopember Institute of Technology Surabaya (ITS), namely an early warning and ship safety monitoring system called Automatic Identification System of ITS (AISITS).